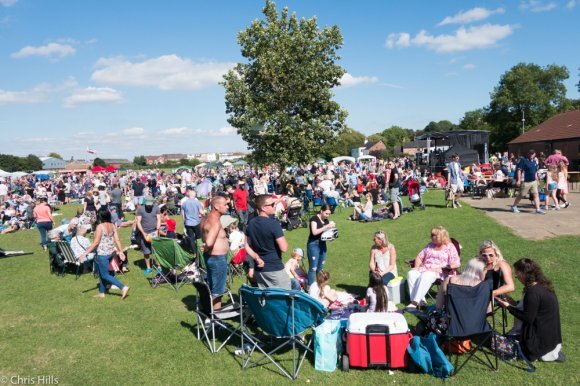 One of the priorities of Castle Donington Parish Council is to promote the well-being and civic pride of the parish and encourage a sense of community spirit by arranging and running a variety of community events. To this end we organise a number of community events each year. Held on May Day bank holiday, the Medieval Market occupies the centre of the village. Stalls fill Market Street, Borough Street and the Market Place becomes the focus of the entertainment. Stall holders and performers dress in medieval costume. The street is full of musicians, dancers and entertainers. The event is free to attend and lasts most of the day. We normally expect to see about 2000 people on the day. 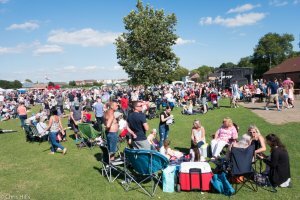 Music In The Park is held on Spital Park. The event is funded by sponsorship from Live Nation. The event is centred around the main stage. Usually five or six bands perform from noon to around 6pm. The park is surrounded by stalls and entertainment. The event is free to attend and we encourage people to bring a picnic. we usually expect to see 3000 people on the day. The annual street fair held on the last weekend in October. 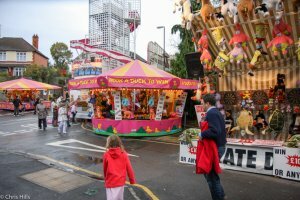 The fair is setup on Wednesday and runs from Thursday to Saturday. 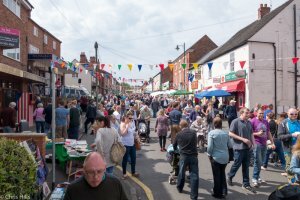 Castle Donington has a Market Charter which gives the right to hold a street fair. The fair fills Market Street, Market Place, and Borough Street. 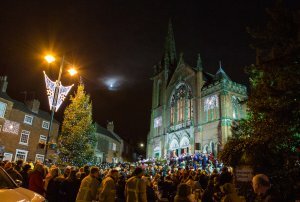 The event is centred around the schools Christmas Carol Concert held on the steps of the Methodist Church in the Market Place. The event starts with a lantern precession from the church to the market. The precession is lead by Santa pulled by real reindeer. The village Christmas lights are switched on and all the shops on the village open for the evening.